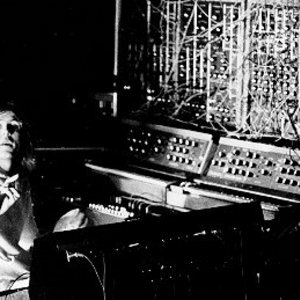 Klaus Schulze (born August 4, 1947 in Berlin, Germany) is a German electronic art music composer and musician. He has also used the alias Richard Wahnfried. He was briefly a member of the electronic band Tangerine Dream as well as cofounding Ash Ra Tempel before a pioneering and prolific solo career of 40+ albums (totalling 110+ CDs) in 30+ years. In 1969, Klaus Schulze was the drummer of one of the early incarnations of Tangerine Dream for their debut album Electronic Meditation. In 1970 he left this group to form Ash Ra Tempel with Manuel G?ttsching. In 1969, Klaus Schulze was the drummer of one of the early incarnations of Tangerine Dream for their debut album Electronic Meditation. In 1970 he left this group to form Ash Ra Tempel with Manuel G?ttsching. In 1971, he chose again to leave a newly-formed group after only one album, this time to mount a solo career. In 1972, Schulze released his debut album Irrlicht with organ and a recording of an orchestra filtered almost beyond recognition. Despite the lack of synthesizers, this proto-ambient work is regarded as a milestone in electronic music. The follow up, Cyborg, was similar but added the EMS Synthi A synthesizer. Some highlights of his early career are Moondawn (1976), Mirage (1977) and Dune (1979). He often took aspects of German culture and history as a starting point in his compositions, particularly on his album "X" (the title signifying it was his tenth album) in 1978 which was subtitled 'Six Musical Biographies,' including such notables as Ludwig II of Bavaria, Friedrich Nietzsche, and Wilhelm Friedemann Bach. His use of the pseudonym Richard Wahnfried indicates his interest in Richard Wagner, which also informs other albums of his music, notably Timewind. Throughout the 1970s he worked mostly in an improvised musical style similar to the above-mentioned Tangerine Dream, albeit with lighter sequencer lines and a more introspective, cosmic edge to pieces that also tended to develop more gradually and were of a longer duration, sometimes in excess of 30 minutes. Klaus Schulze had a more eclectic sound than other electronic artists of the time. Often he would make use of non-electronic sounds such as acoustic guitar and a male operatic voice in Blackdance , or a cello in Dune and Trancefer . Schulze developed a Minimoog technique that sounds uncannily like an electric guitar, which is quite impressive in concert. In the 1980s Schulze moved from analog to digital instruments, and his work accordingly became less experimental and more accessible. A highlight of this era was En=Trance with the dreamy cut 'FM Delight.' The album Miditerranean Pads marked the beginning of very complex percussion arrangements that continued into the next two decades. Starting with Beyond Recall, the first half of the 1990s was a period when Schulze used a large sonic pallette of samples ? such as screeching birds or sensuous female moans ? in both his studio albums and live performances. The decade also saw the release of copious amounts of previously unreleased material, of varying quality, in several limited-edition boxed sets. Some live recordings were discovered on pristine but forgotten reels of tape which had been used to provide "echo" in concerts. Schulze began incorporating elements of jazz and classical music, playing a more contemporary, techno/dance music, as well as creating an opera. Since the start of the millennium he has begun gradually re-releasing his classic solo albums, each containing bonus tracks of unreleased material, dating from same period as each of the original albums.